Are you giving your credit score the attention it deserves? If you’re even thinking about buying a home or refinancing your current one in the near future, then you need to show it some love. Make sure you understand the ins and outs of your score and what you can do to make it more attractive to lenders. Your FICO credit score is the one way a lender can tell if you are a responsible borrower and if they should take a risk and lend you money. Your credit history – if you’ve paid your bills on time or if you’ve “maxed out” your credit cards – will show up on your credit report. Lenders will analyze your report and determine a loan’s conditions and interest rate based on your credit score. Remember, a credit score has nothing to do with your income or investments. Your credit score is based on how you’ve handled your credit card payments and other loan payments, like your car or student loan. 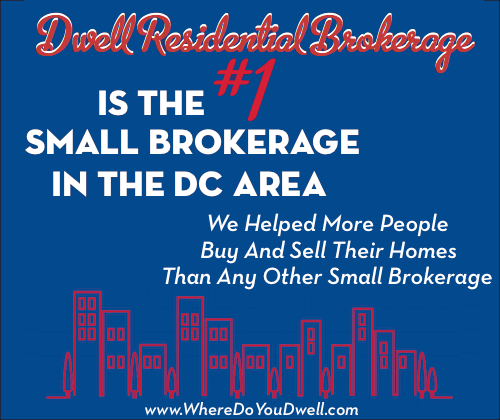 It also takes into account if you’ve declared bankruptcy, have a tax lien, or if you’re being sought by a collection agency. Each of the three different major credit bureaus – Experian, TransUnion and Equifax – all collect your credit information and calculate your score. Keep in mind, your credit score could vary slightly from each bureau. The higher your credit score, the lower the interest rate on your mortgage. It’s that simple. And with a lower interest rate, you’ll save more money over the course of your loan. Don’t assume you will get the advertised interest rate you see online or elsewhere. Even though you may have “good” credit, if it’s not what lenders consider to be the highest score – 740 or above – you will not get the low advertised rate. If you have a score of 740 and above, you will get the best rates and have more loan options to choose from. For a range of 720-740, you have to pay an additional .125% on your loan. If you’re in either of these groups, you’re considered a low risk and lenders are willing to work with you. A score of 680 is stilled considered good, but your interest rate will be considerably higher. As your score gets lower, you’re considered riskier and you’ll be offered higher interest rates and fewer loan options. If you’re refinancing, most banks expect a FICO score of at least 620 and will also see if you have a good debt-to-income ratio. Not knowing your credit score could lead to an unpleasant surprise when you apply for a loan. You should start to monitor your credit score from all three bureaus about 3-6 months BEFORE you even start looking for a home or plan to refinance. The earlier you start, the more time you can repair any credit issues if there are any. It’s easier now than ever to track your credit score. You can sign up online for myfico.com or other credit monitoring companies. Myfico.com alerts you to any changes to your credit reports via email or text. 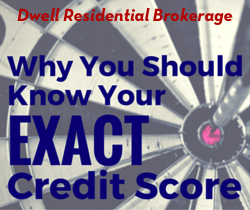 It’s a great way to get an overview of your credit report and to find out which factors are affecting a low score. Make payments on time all the time. No matter if it’s a few dollars or thousands, a late payment will hurt your score. This makes up 35% of your FICO score. Increase your score by having a higher credit limit on your cards but maintain a low balance. It shows you’re credit worthy. The credit bureaus want to see that you have available credit you aren’t using. Even though it sounds counter-productive, call all of your credit card companies to see if they will increase your limit … but don’t use them! Never make major purchases during the time of your loan process. It’s not the time to buy a car and have more inquiries on your report. It looks like you are racking up new debt and that could lower your score. Think twice before you cancel a credit card. You can increase your score by continuing to build on years of positive account history, showing that you have handled credit responsibly. Keep credit card balances low since high balances can affect your score. It’s best to keep your debt-to-credit ratio 30% or better yet even lower (divide your total balances by your total credit limits). That means don’t spend your credit limit each month, even if you pay it off! This utilization rate is about 30% of your score. It doesn’t hurt to negotiate with creditors if you’ve been a good customer in the past and then had one or two late payments because of unemployment or other circumstances. You can ask for a “good-will adjustment” and have them remove that blunder from your report. Look out for errors or anything suspicious on your credit reports that could affect your score. You can dispute this information. With major companies getting hacked lately, it’s a good idea to monitor your report regularly. Pay off your parking tickets and even library fines. You don’t want these “trivial” fines to be turned over to a collections agency. This little slip-ups could do significant damage to your score. Now that you know everything about how your credit score is determined and how to increase it, you’ll be getting the best interest rates and loan programs around! Kudos!